In 2010 Haig Armen’s design firm, Lift Studios was hired by the Vancouver Aquarium to design and develop a touchscreen kiosk to accompany the Beluga Whale exhibit. 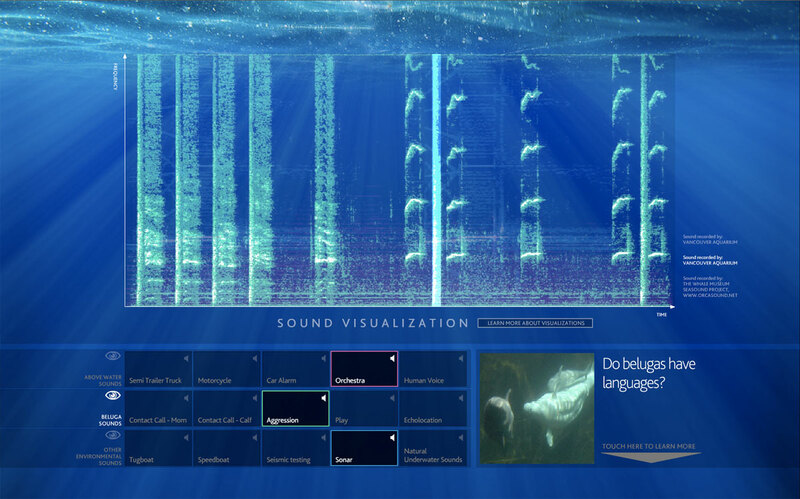 The goal of the kiosk was to encourage children to explore the sounds that Belugas create and compare them with the sometimes-disturbing man-made sounds in their environment. The kiosk continues to receive positive responses from thousands of aquarium visitors, and lift will continue to develop more innovative touchscreen installations for the highly popular Vancouver attraction.